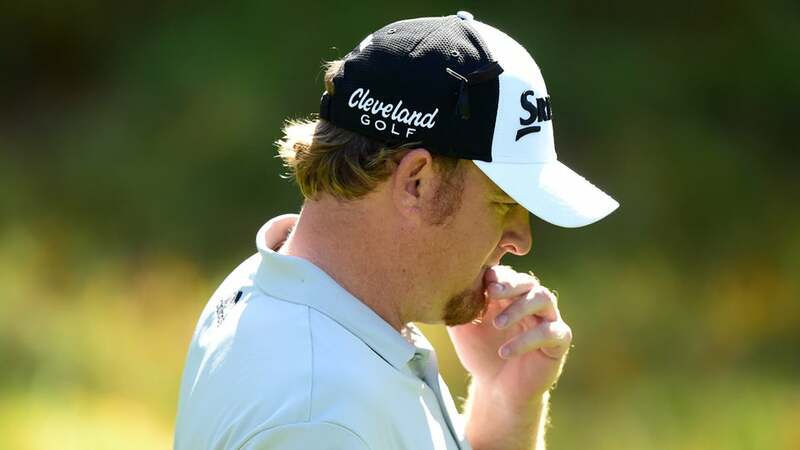 J.B. Holmes caught the ire of some of the golf world when he took several minutes to play his second shot on the 72nd hole of the Farmers Insurance Open on Sunday and perhaps inadvertently "iced" playing partner Alex Noren. Holmes, Noren and Ryan Palmer were the final group at the Farmers, and all three were chasing clubhouse leader Jason Day, who was in at 10 under. Noren was tied for the lead, Palmer was one back and Holmes was two back. After Palmer hit his second shot on the par-5 18th, Holmes, needing an eagle to tie Day, took several minutes — Golf Channel timed it at 4 minutes, 10 seconds — before he hit his second shot. Holmes was weighing his options and concerned about the strong winds, and eventually several members of the gallery were fed up and on his case. Holmes eventually laid up to in front of the pond and made birdie, but he missed the playoff by one. Noren, hitting after Holmes, hit a fairway wood over the green and made par to join the playoff with Day and Palmer, who made birdie on 18. Luke Donald was among the pros who took to Twitter to address golf's latest example of slow play. Last group was over a hole behind, we can all blame JB...and yes the player should take responsibility for their pace of play, but if they don’t that’s why we have Tour officials - they needed to step in a while ago IMO. Golf Channel's Ryan Lavner asked Holmes about the delay after the round.